The most common unit of measure for the copper thickness on a printed circuit board is ounces (oz). But how thick is that? 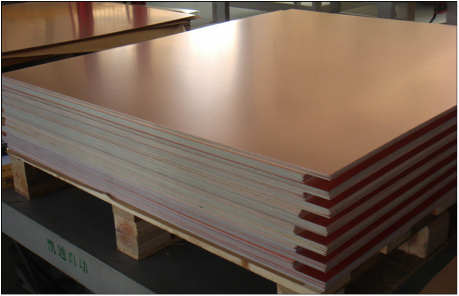 It's the resulting thickness when 1 oz of copper is pressed flat and spread evenly over a one square foot area. This equals 1.37 mils (1.37 thousandths of an inch). Of course not everyone thinks in mils so please refer to the chart below to convert into your preferred unit of measure. simply multiply 1 oz thickness x 4. Of course the thicker the copper the higher the cost, but there are certainly times where this is necessary. The cost increase is not only due to the raw material costs but processing thicker copper weights takes more time and is a little trickier to do. Keep the following chart in mind when designing your board. The more space you can allow between copper features the better. 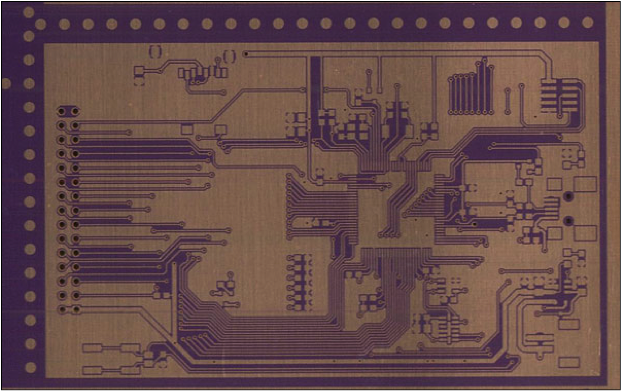 Etching the spaces (air gap) between traces is more difficult than etching a trace of the same width as your space. *Tighter spacing is possible but it will require an engineering review. These numbers are given as guidelines to assist you when setting your design rules. Allowing as much space as possible between copper elements will yield a more robust final product and will be cheaper to manufacture in the long term. 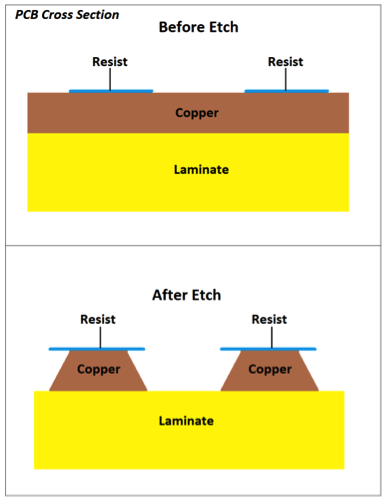 If your target finished copper thickness is 1 oz, we'll start with a ½ oz sheet of material. This is ½ oz on each side.